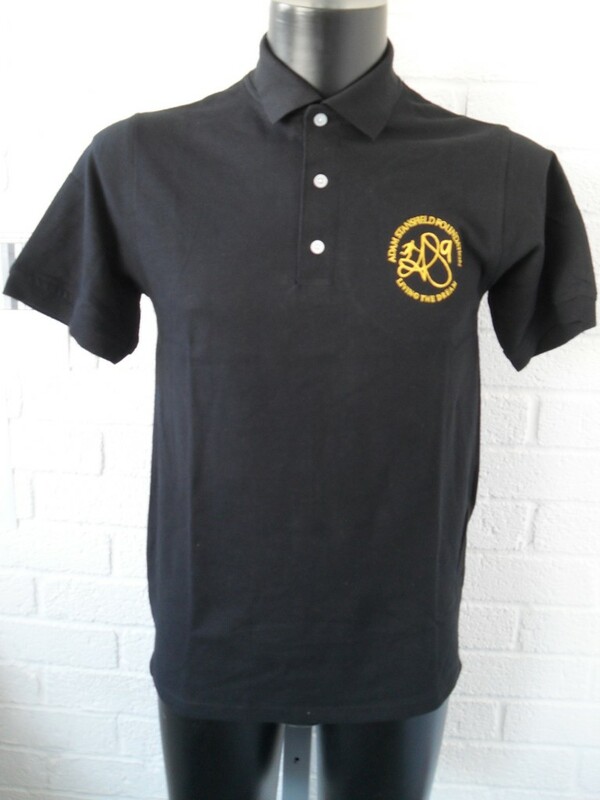 Our black polo shirt, featuring embroidered gold AS9 logo on the breast. Available in a rage of sizes to suit any supporter of the foundation. -100% combed ringspun cotton – Black with white buttons.